Watch featured episodes from Life Issues Institute’s Emmy® Award-winning TV program, Facing Life Head-On. GiGi’s Playhouse helps those with Down syndrome reach their highest potential and spreads positive awareness. 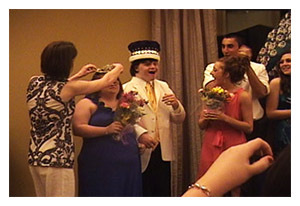 The story of a very special high school and its students, who gave a very memorable evening to two of its most loved seniors. Andy LaRoche is more than a Major League third baseman. He has a major-league heart for children with Down syndrome. The story of one family’s journey into the amazing world of life with Down syndrome. Tripp and Barbara Curtis had nine children when they decided to adopt three more. Barbara says adopting three children with Down syndrome is what completed their family. Julie Tennant loves her life, she taught her brother to love his life, and she wants you to love your life, too. Specifically for parents after a Down syndrome prenatal diagnosis. Accurate information about Down syndrome but much, much more. Active message board with mothers on the prenatal journey, and those months and years down the road. Very supportive group. An award-winning book by women from all ethnic and religious backgrounds and professional achievement who discuss their experiences of loving and living with children with Down syndrome. 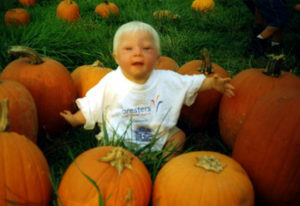 Down syndrome awareness centers providing myriad services and opportunities for infants and children with Down syndrome. An especially supportive resource for those who have just received the news about their baby. Up-to-date information and access to other families with children who have Mosaic Down syndrome. Features a message board, many articles about Mosaic Down syndrome and an extensive list of personal stories. User-friendly online community for families. Create your own page to tell your story, share links and photos and create and join regional groups. Chloe has Down syndrome, and her site showcases the many positive seeds she has planted in her family and community. A dad’s intimate blog about life with his son combined with links to other parents’ blogs and resources for parents.